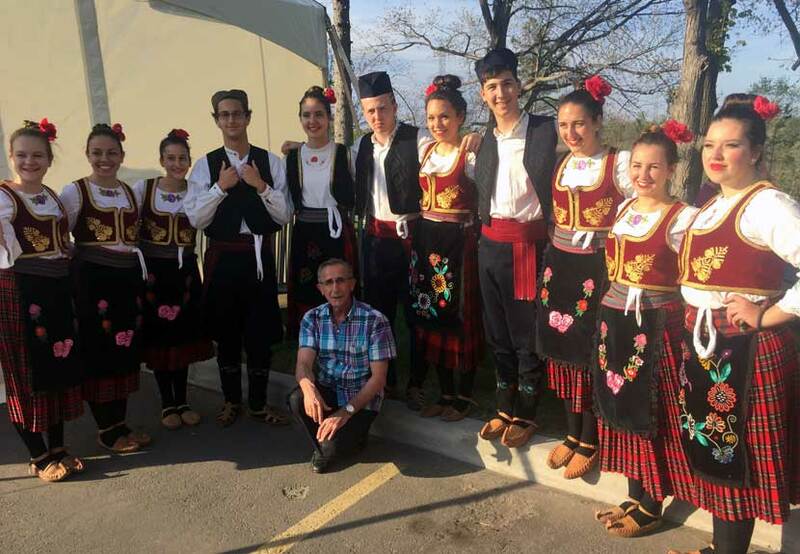 Folklore groups “Studenica” and “Hilandar” from St. George Serbian Eastern Orthodox Church of Niagara Falls, Ontario in Canada will be among many groups performing at the Intercultural Dance Festival 2017 Saturday, May 20 beginning at 6:00 p.m. at St. Sava Church, 9191 Mississippi Street, Merrillville, IN. The folklore tradition at St. George Serbian Orthodox Church of Niagara Falls, Ontario, Canada traces its roots back to December of 1970. Throughout the years there have been several choreographers. In 1994 Nikola Jovic was offered the position of Choreographer / Director of St. George Folklore group “Studenica ” and it was with great pride that he accepted this position with dancers ranging in age from 5-15. With membership of the folklore growing, in keeping with the Monastery theme, the groups ” Decani” and “Hilandar” were established in 2000. The groups have traveled and performed throughout the USA & Southern Ontario. The members have learned and performed a large variety of dances representing various regions from our homeland of Serbia. They have performed with great pride and dignity knowing that they were not only sharing their love and knowledge of Serbian culture but also meeting and preserving friendship that would last a lifetime. The folklore groups ” Decani”, ” Hilandar” and “Studenica” consist of proud & enthusiastic Serbian dancers ranging from the ages of 5 – 20. Nikola Jovic has been our Choreographer / Director from 1994 – 2001 and from 2007 – present. Folklore groups “Studenica” and “Hilandar” will join Srbadija Folklore, the youth folklore dance group at St. Sava, and many other dance groups as they perform in this special showcase of dance from different cultures and delight all with Serbian cuisine and the famous bake sale available during the event. Approximately 12 different dance groups have confirmed they will be performing and will be sharing their talents. 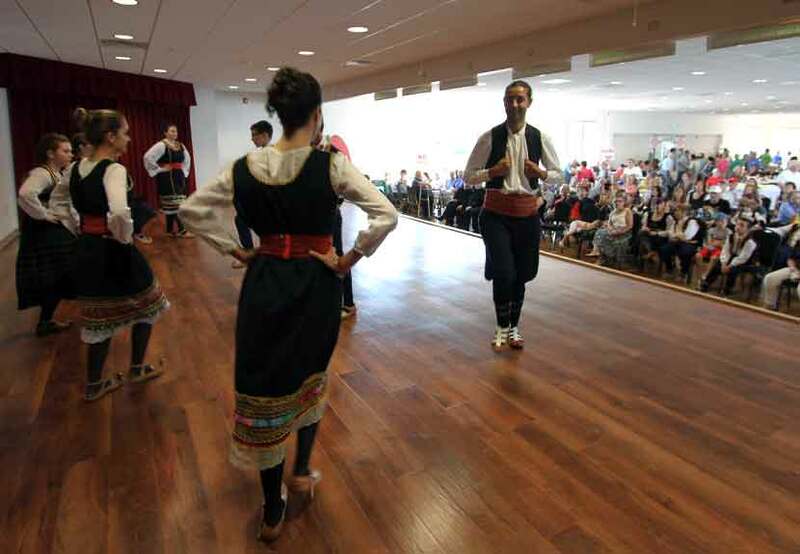 This will be the third consecutive year of the Intercultural Festival hosted in the new Pavilion at St. Sava that draws hundreds of people and unites through culture and dance. This year there will be some familiar dance groups from previous festivals and some new additions to the lineup. More details of the names of the groups performing and some background about what you can expect to experience will be posted in the weeks and days leading up to the event. This year groups representing Serbian, Polish, and other Eastern European nationalities will be performing, with more groups still joining the lineup. Performers this year will be traveling from as far away as Alberta, Niagara Falls, and Ontario in Canada. Previous dance festivals have featured groups representing different regions of Serbia, Mexico, Greece, Ireland, and India in the performance. Please save the Saturday, May 20 date to join us for the Third Annual Intercultural Festival, hosted by Srbadija Folklore, at St. Sava Church, 9191 Mississippi Street, Merrillville, IN 46410.